t:u:t:p (the unbelievable t.v. preacher), influenced by the great, old-school industrial masters like s.p.k., skinny puppy, throbbing gristle, nurse with wound, and especially esplendor geométrico. 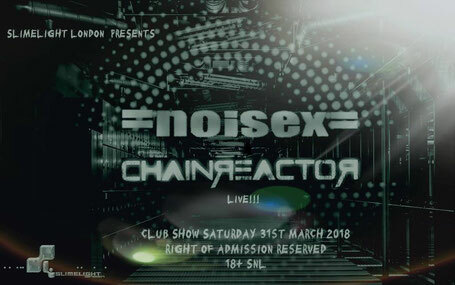 after two years of testing, he changed his projectname into noisex. in the meantime, the sound was becoming more rhythmic and structured, in the direction of industrial rhythms. in 1992, the first noisex tapes 'first mistakes' & 'save the whales' were released. 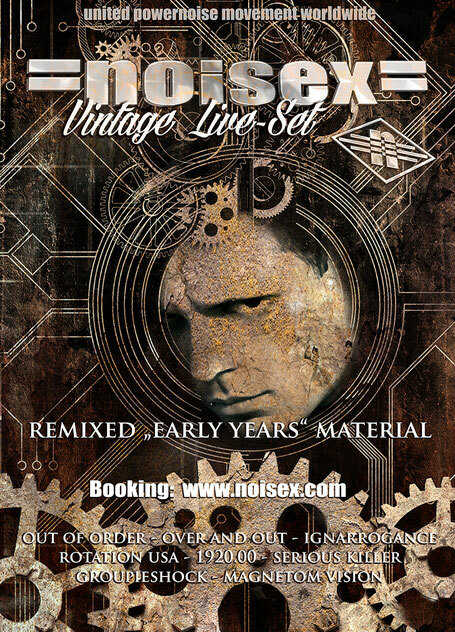 thereafter, the typical noisex style had to be further developed. raoul's atypical effect lines made it impossible for him to work without more equipment. 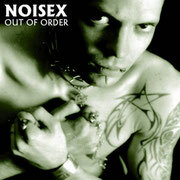 more than one year of total isolation in his noise-studio, he produced more than 100 tracks of pure industrial rhythms. i decided to do some selected "Vintage Live-Sets"